Etatron have significant expertise in Chemical Dosing Metering Pumps, Chemical Controllers and Chemical Dosing Systems. We offer solutions in automated chemical dosing, chemical dispensing diaphragm pumps and peristaltic pumps. Etatron GB values all the enquiries received from both new and current customers. We have a commitment to quote on the same day or next working day. In addition, all orders from Etatron GB stock are either dispatched on the same day received or next working day. For Chemical Dosing Systems requiring multiple Dosing Pumps, Chemical Controllers, Chemical Holding Tanks, Mixers and Dosing System Accessories we work tirelessly to coordinate and achieve lead and target date delivery needs. We offer telephone technical support and when required site visits. Our website is optimised for usage on a mobile device with easy access to Datasheets and Chemical Dosing Equipment Manuals. Chemical Dosing is a vital process in a wide range of industries including Water Treatment, the Leisure Industry & Food Processing. In the Water Treatment Industry, chemical dosing is an important part of the process, Etatron has developed many chemical dosing and metering systems including disinfection, swimming pool water technology and pH correction systems. Etatron GB’s extensive range of chemical dosing pumps, controllers, probes and accessories means we can provide solutions to meet our customer’s needs. The Etatron GB range of pumps, controllers, chemical holding tanks, agitators, mixers and accessories are supported by leading chemical dosing engineers who have the necessary expertise and solutions for you. Etatron D.S. employs a substantial number of people in Italy supporting its worldwide network of distributors and agents. They work on an extensive range of engineering and business activities that embrace the production of quality Chemical Dosing Pumps and Equipment. Key targets of product quality and customer service are an essential part of the Etatron dedication. As Etatron GB we are fully committed to its social responsibilities and we use resources to enhance the lives of our employees and society. Etatron believes its responsibility extends to the maintaining of its commitment to sustainability, taking care of the environment and its people. 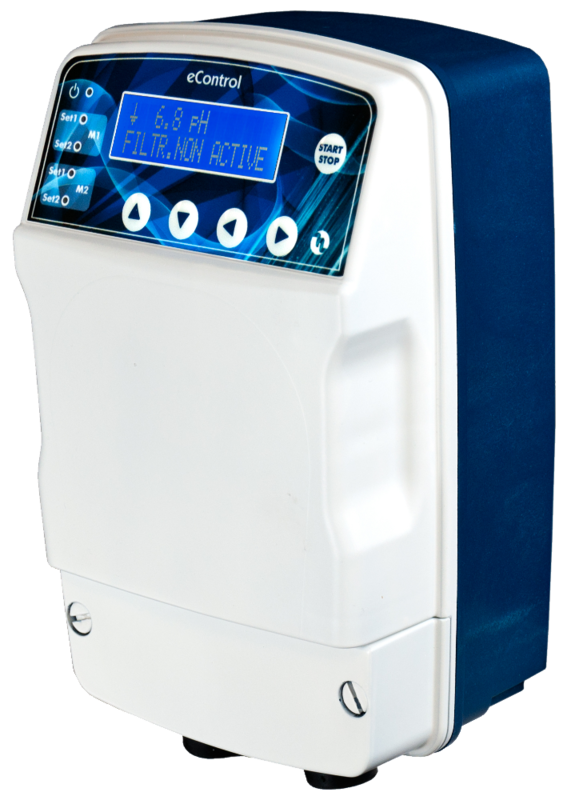 Etatron realises its full responsibility by manufacturing Chemical Dosing Pumps, Controllers and Equipment that are recognised by international certification. Etatron D.S. maintains quality and management systems in accordance with the requirements of CE Approval and Marking, ISO9001:2008 and CSA Standards. Please read on for more information and view our certificates as required. Etatron D.S. products are CE approved, this is a mandatory requirement of the European Economic Area (EEA). The CE mark certifies that Etatron’s Diaphragm Chemical Metering Pumps and Equipment meets EU consumer safety, health and environmental requirements. A CE mark is a mandatory requirement for products the European Economic Area. It is an essential element of the Etatron’s commercial drive, enabling sales within the EU. Etatron’s CE conformance certifies that our products meet EU consumer needs. ISO 9001 is a quality management system standard that is imperative to meet stringent international requirements. ISO 9001:2008 allows Etatron D.S. the flexibility to document a quality management system (QMS). This enables Etatron D.S. as a manufacturer of Chemical Metering Pumps, Controllers and Equipment to develop the correct documentation needed for the effective planning, operation and control of its manufacturing, plus the implementation and continual improvement of systems. The ISO 9001 certification ensures Etatron meets the needs of its customers and other stakeholders. As a fundamental quality management system Etatron has always met and maintained the required levels to meet the demands of the ISO 9001:2008 certification for the benefit of manufacturing efficiency and its customers. The ISO 9001:2008 Quality Management System certification enables Etatron D.S. to demonstrate our commitment to service quality and customer satisfaction, as well as continuously improving our quality management systems and meeting the challenges of the global in Chemical Dosing Pumps, Equipment and Systems. As a global exporter Etatron D.S. understands its responsibility to ensure it meets the need of its customers. CSA is accredited by the Standards Council of Canada, as a standards development organisation and as a certification body. This registered trade mark achieved by Etatron demonstrates that its products have been independently tested and certified to meet the recognised standards for safety and performance. Etatron’s CSA certification ensures that equipment is designed and manufactured to the highest safety standards. Etatron GB only retains personal data which is of legitimate interest. This includes names, addresses, phone numbers, email addresses, and email correspondence. Customer data is retained for a period of 6 years from last contact. Etatron GB does not sell any data to third parties. We use Mailchimp for marketing activities and for keeping customers informed of product offers, product evolution, emergencies (i.e. product recall) and new product information. Direct marketing to personal email addresses, where a personal email address is defined as including a person’s name (i.e. “[email protected]”), will be done on the basis of “positive opt-in” only. Subsequent to opt-in the subject/customer may rescind permission at any time using the Mailchimp ‘unsubscribe’ button on the emails. This website, www.etatron.co.uk, uses Google analytics to collect data on browsing. All the data collected is anonymous and is stored for 26 months before being automatically deleted. Today the Etatron GB Good Idea Friday #GIF is enjoy the sunny weekend at home!! And do not drive anywhere! Complete the form below and we will aim to get back to you within one working day.